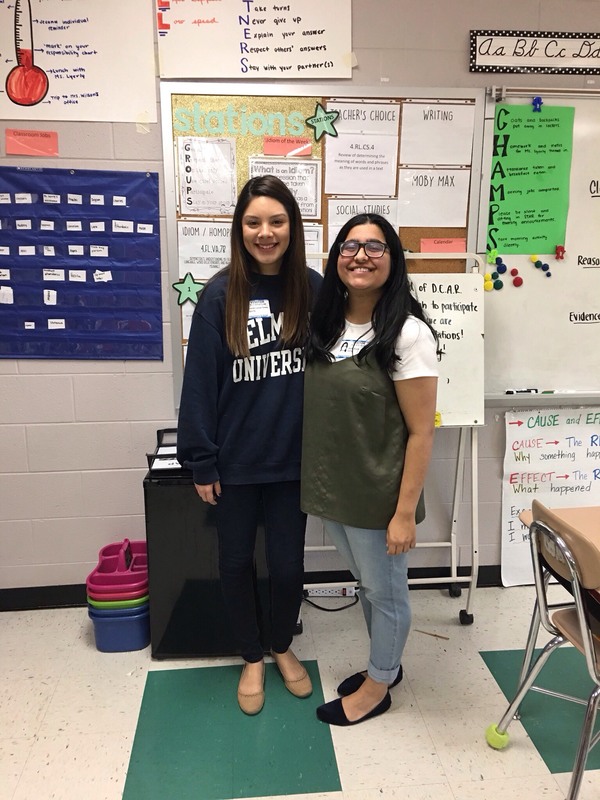 On Wednesday April 11, neuroscience students Aditi Buch and Crystal Lemus gave an engaging presentation to 4th grade students at Shayne Elementary school. Students learned about the link between our five senses and the brain and were able to see and touch a real sheep brain. They also completed many exciting activities demonstrating the limits of our sensory abilities. This knowledge transfer activity is a first step in a growing series in neuroscience, geared to reach elementary school children and demonstrate female engagement in STEM fields.